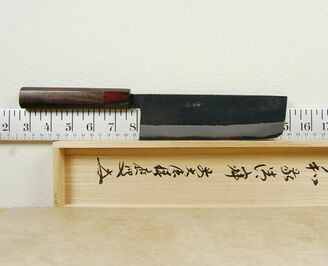 Yamashin knives are made in Tosa, Japan. 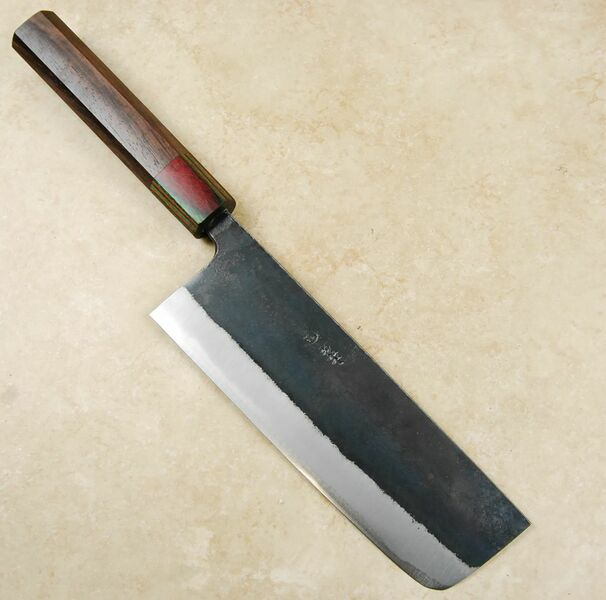 They are everyday kitchen knives that many Japanese cooks love to use. Considering the great price, they sharpen really well and hold a nice edge. For the money, the grinds on these knives are impressive, which makes them a great overall value. The Yamashin Blue #2 Nakiri checks all of the classic nakiri boxes. Its compact size and boxy profile are designed to take on any and all vegetables with control and ease. The flat edge and extra finger clearance make it a great choice for users who prefer push cutting over a rocking style. Nakiri knives have found a new legion of users in both professional and home environments. 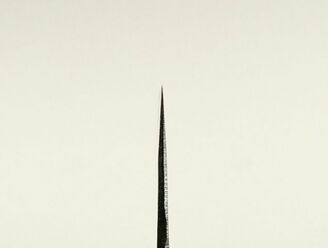 This nakiri will amaze you with its ability to fall through the hardest ingredients. This 165mm nakiri features a san-mai construction with an Aogami #2 carbon steel core wrapped in a reactive iron cladding. This knife does not have any stainless properties so a patina will form with normal use. The finish is a deep blue/black kurouchi finish, which is the carbon scale remnant from the forging process. 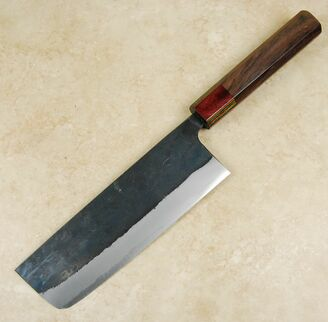 It does offer some protection from corrosion but the blade must be kept dry and clean to prevent rusting. The well-made handle is constructed from red sandalwood with a dyed pakka wood ferrule. This really is a lot of knife for a little money.